Garden pests aren’t typically considered beautiful, but if you look closely at a mealybug, it’s bound to catch your eye. 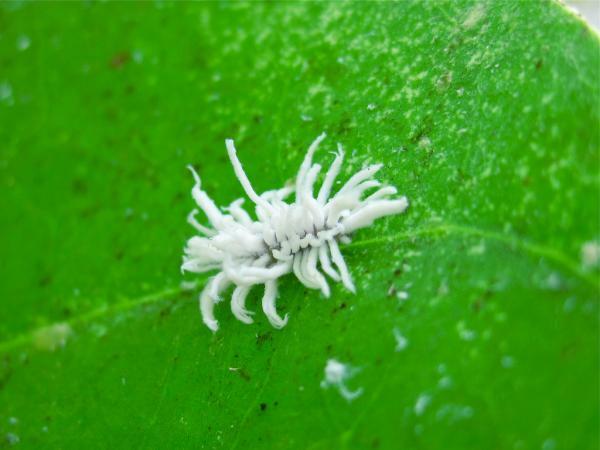 Not only are these pests pure white, but they are also covered in graceful tendrils, which in some species (such as those pictured here) look like the pistils of a flower. These slender filaments vary widely from one mealybug to the next, and can make the bugs resemble anything from a shorthaired poodle to a ball of fairy fluff.